When Adam asked me if I would like to do a guest post I jumped at the chance. About an hour after I said yes though, I began to panic wondering, “what on earth am I going to write about”. My site is mainly recipes, mostly baking, so I knew I should probably stick to that. I also thought that as a guy from England I should probably bake something that represented where I’m from, and show a regional specialty. The problem with that is the things I wanted to show you use ingredients that are not exactly common in the US. I really wanted to show you a seriously yummy Treacle Tart but the main ingredient is Golden Syrup, which I know, isn’t easy to get hold of. The same goes for the traditional cake Yorkshire Parkin. 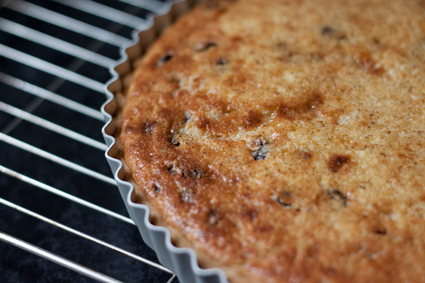 I eventually settled on another Yorkshire specialty called Curd Tart. 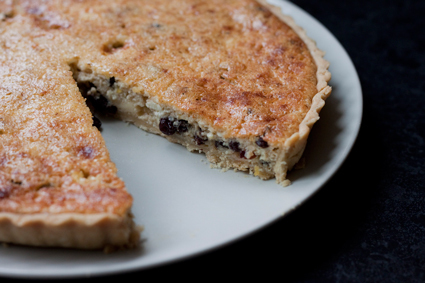 I suppose its most like a cheese cake in that it uses curds (rather than cream cheese) as its main ingredient but its less sweet and also gently spiced and includes currants. The dish was traditionally made from curds left over in the cheese making process in the Yorkshire Dales, a really lovely park of the country, but shop bought curd will do fine, there is no need to hunt down a local cheese maker. 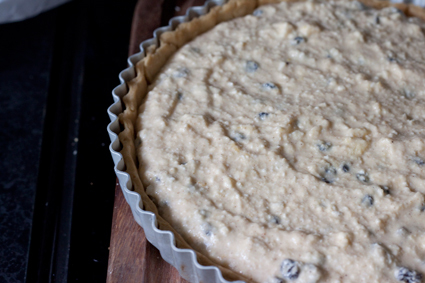 If you can make tart dough you can make this, as that is the only possible challenge (and that’s pretty easy too), the rest of the process is a simple one. Because I didn’t want to share a recipe that you couldn’t make because of unavailable ingredients, I asked Adam if curds are widely available. Unfortunately it’s another ingredient not exactly common in the US. I really wanted to show you this Tart though so I thought I would go ahead and just tell you the alternatives to curds which are cottage cheese, and ricotta. When I went to purchase everything I would need even I couldn’t find Curds, I went to 5 different supermarkets and not one actually stocked it. I’m guessing the demand has died off in recent years and so I was left with a dilemma. Make my own Curds or change my idea? 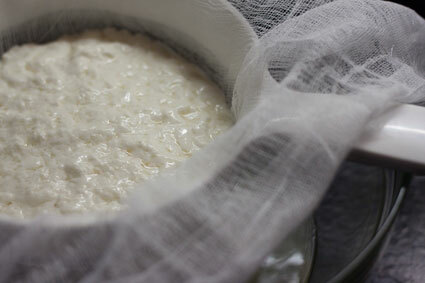 I decided to make the curds as the process turns out to be very simple. Recipe is roughly based on a Rick Stein recipe but I have modified it. Night Before – I know most people look at recipes that need an overnight task and just skip it but this is fast and easy and well worth it. Put your milk in a pan and bring to 98F/37C then take off the heat and pour into a bowl and stir in the Rennet. Let this sit for about an hour in a cool part of the kitchen until set. Spoon the curds into a cheese-cloth lined sieve set over a bowl and leave overnight. See I told you it was easy. Now for the pastry. 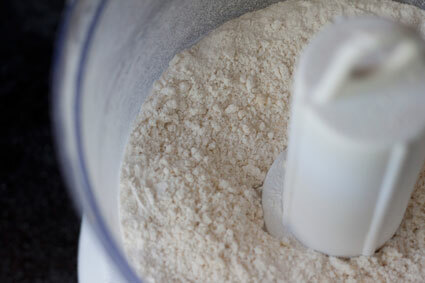 Sieve the flour and salt into the bowl of your food processor and pulse in the butter until it looks like breadcrumbs. You now need to add just enough water to bring the dough together. Start with ½ Tblsp and keep adding until it just starts to come together. Tip the dough on to a lightly floured surface and just bring together into a bowl, wrap with plastic wrap and refrigerate for 30 minutes. Pre-heat the oven to 400F/200C. Roll out the pastry and line a 9 inch tart pan. Prick the base with a fork and line with parchment and fill with baking beans or rice and bake for 15 minutes. Remove the parchment and rice and bake for a further 5 minutes until just lightly golden. For the filling beat the butter sugar and lemon zest until pale and fluffy. Mix the curds with a fork just to break up a bit (will look a bit like cottage cheese). 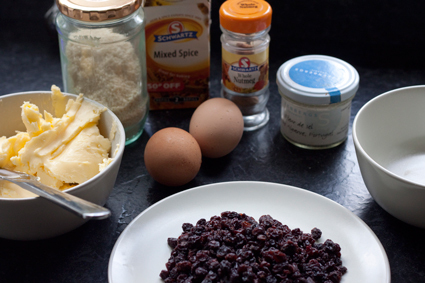 Gently beat in the curds, cream, eggs, spices and breadcrumbs just to incorporate and then stir in the currants. 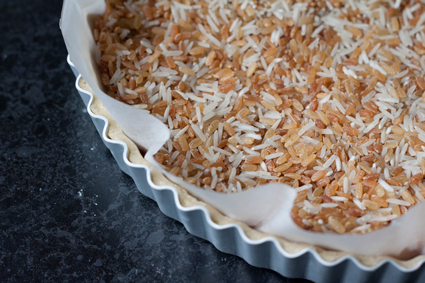 Pour the filling into the pastry case and grate a bit more nutmeg over the top. Bake in the middle of the oven for 20-30 minutes till golden around the edges and just set. Let cool before serving.